My goodness – two days in a row – two inks I want to try. 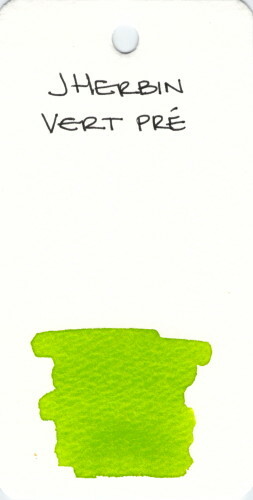 I love the bright spring green color of J Herbin Vert Pre. Have you tried this one? This entry was posted in INKS and tagged green, ink swab, j herbin by Christine (Pentulant). Bookmark the permalink.